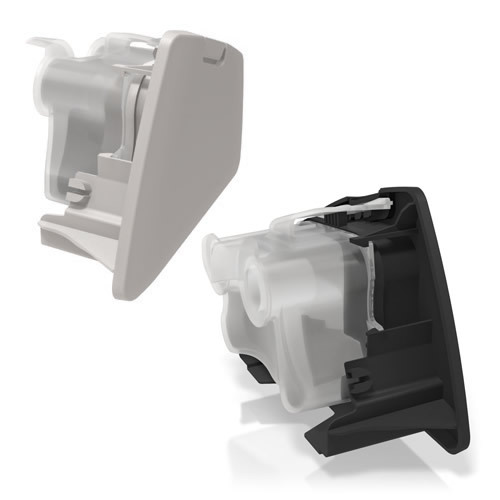 The Side Cover is an optional accessory for use with AirSense 10 Series CPAP Machines and AirCurve 10 Series BiLevel Machines. The Side Cover fits over the slot where the humidifier chamber would usually be installed; and it allows the machine to be used without engaging the built-in HumidAir Humidifier. 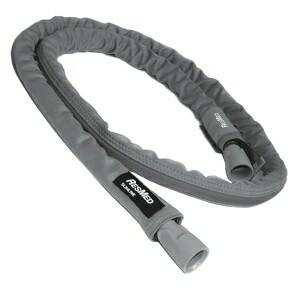 Color Information: The Side Cover is available in two colors: Charcoal and Light Gray. 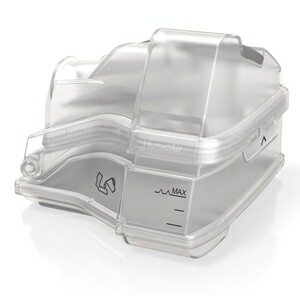 The Charcoal Side Cover is designed to match all AirSense 10 Series CPAP Machines. 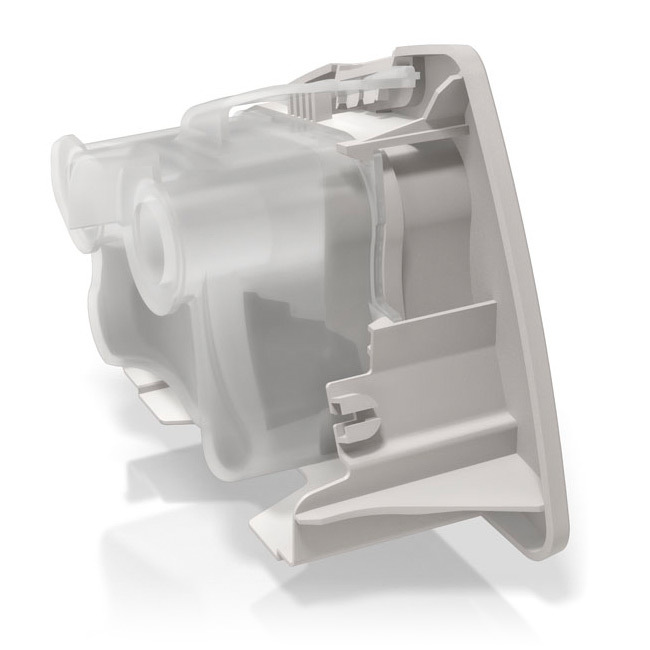 The Light Gray Side Cover is designed to match all AirSense 10 AutoSet For Her Machines and AirCurve 10 Series BiLevel Machines. 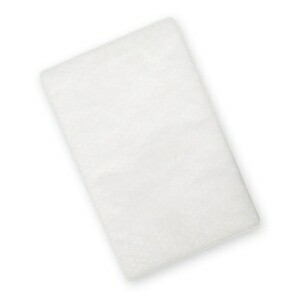 Either Side Cover can be used with any AirSense 10 or AirCurve 10 device. This little device is wonderful for those not using humidifier. Nice not to have to clean humidifier. Great product!! Arrived sooner than expected and packaged nicely. Great seller too. Pleasurable experience in every way. Thank you for making this available. Don't see it as much as the other CPAP items. Worth every penny! I bought this as it is a hassel to bring the humidifer tank and distilled water on a trip, now ùi place this on my machine , add my mask to the case and go. The side cover works great and reduces travel size when I don't require humidification. Also, cpapXchange always has competitive prices and unparalleled service. This is my first stop for all CPAP related purchases. 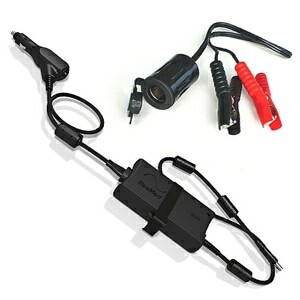 Just what I needed for use on our camping trips. The side cover fits perfectly! This site had the cheapest price by far. Shipping was very fast. Will order from cpapXchange.com again. There are times that I do not want to use the humidifier on my AirSense 10. This side cover fits perfectly and makes the machine look great without the humidifier. Item as ordered was received and exactly as advertised. Item was competitively priced. Exactly what I needed. Ordering was quick and easy. Delivery was prompt. Item received in new condition and packaging. 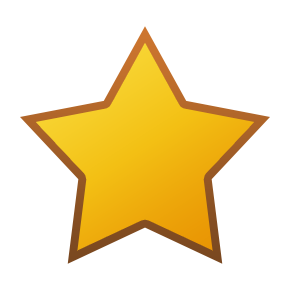 Very pleased with entire experience. great for when I don't need to use the humidifier. It makes the machine smaller thus easier to carry when travelling especially since I do not use my humidifier. Ordered. Came in a very reasonable time frame. Works perfectly. I received the Cover quickly and immediately put it on the side of my C-Pap machine. It is not obstructing the machine and fits well. Great price, exactly what I needed to run my cpap machine without humidity. When I travel it is one less attachment when I do not want to deal with water needed for my machine to run. This end panel is much smaller and a little less weight to carry. Excellent experience. The side cover came in a speedy fashion, the price was right, and it fits and works perfectly. Product came as promised and shipping was quick. 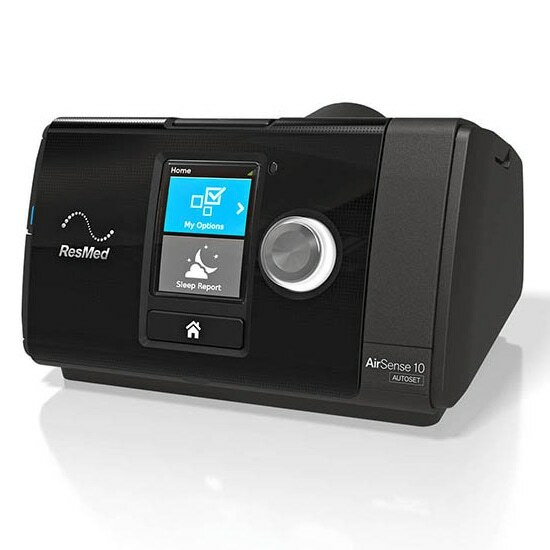 I recently got the ResMed Airsense 10 to replace my aged CPAP, and the thing did not come with the ability to use it with no humidifier. So I had to purchase this side "cover" - which I discovered is much more than just a cover, it's another bulky chunk of plastics with gasket surfaces and a chamber that the air passes through which is non-trivial to clean. 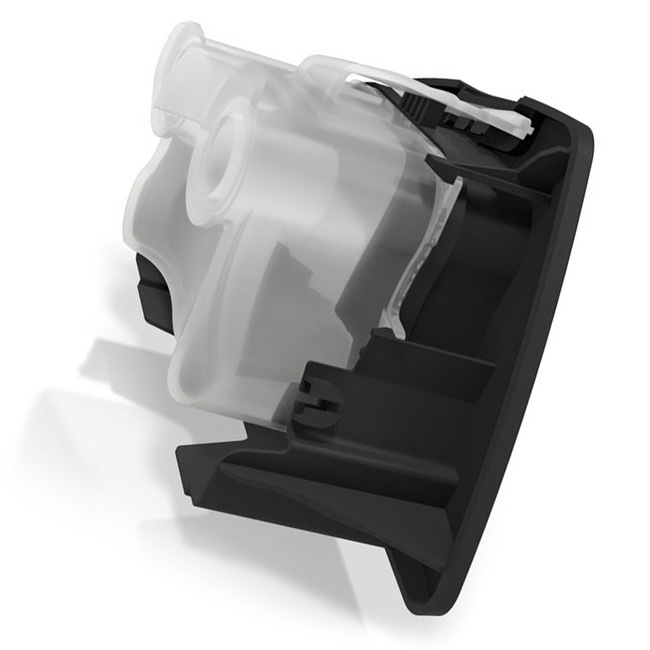 So my review here is 5-stars for cpapXchange and their very good pricing and service and no more than 3-stars for the so-so design of the ResMed Airsense 10 CPAP machine that even requires purchase of a part like this, then makes that part bulky and not easy to clean. Would I recommend THIS product? 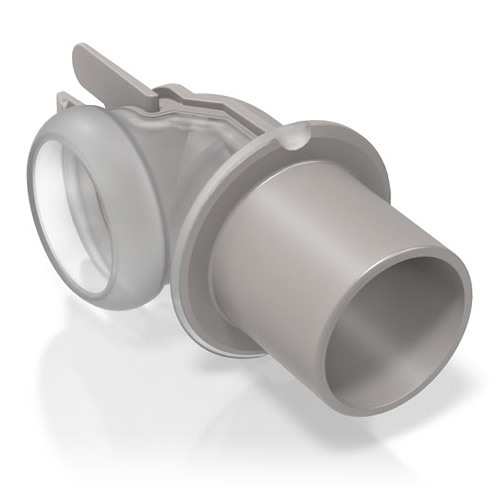 If you're using any flavor of the Airsense 10 CPAP machine, and you want to travel with a smaller unit and use without humidifier, you're kind of stuck with having to get this product. Shipping was very fast and free! Item arrived in perfect condition. Prompt service. Good price. ! As ordered and prompt delivery. Efficient and a fair price. Prompt shipping and item shipped was item expected. Very satisfying transaction. The cap fits and looks perfect on the airsense 10. The cover fits perfectly to to my Airsense S10. my cpap is more compact. I love it. As I travel a bit, using my Travel trailer, using 12 volt battery supply with adapter, it is unfeasible to use the humidifier. By removing it and slapping this special end cap on the Aircurve, resets the machine for non-humidifier use automatically. When removed and water shell replaced, it goes back to settings for it. Great buy, thank you! From ordering to receipt of product was less than a week. Labeling was clear so it is the perfect fit for my machine. I recently received an AirSense 10 from my provider, however, the humidifier is very integrated. Since I have never used a humidifier, I wanted to get the side cover option. Ordered and received quickly and works as designed. Quick shipping! Great prices! I'll use them again. Excellent job by cpapXchange. Send a reasonably priced good product quickly enough.